MOSCOW, March 25. /TASS/. 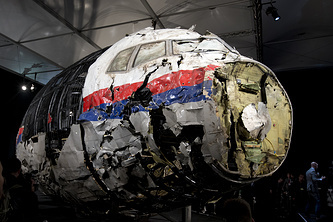 The Ukrainian side was involved in the MH17 flight disaster over Donbass, a former officer of the Ukrainian security service SBU, Vasily Prozorov, told a news conference on Monday. "It is my personal opinion and it relies on certain information. 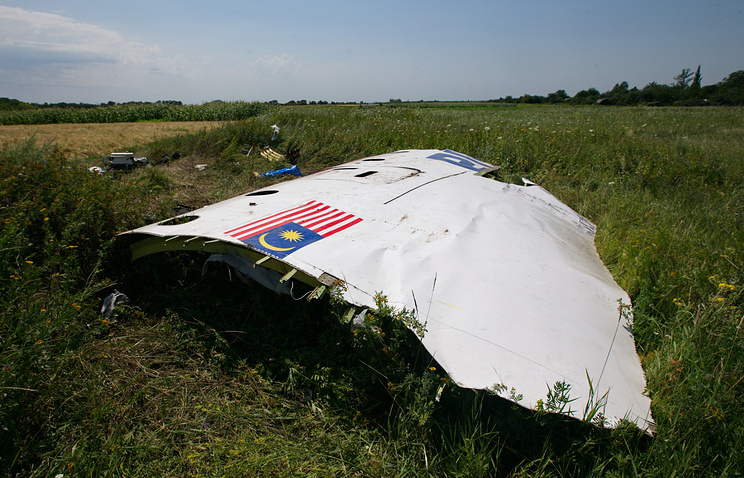 The Ukrainian side is an accomplice to the Malaysian MH17 flight disaster," he said. "The amazingly prompt reaction of the Ukrainian leadership was the first thing that made me feel suspicious. My unequivocal opinion was President Pyotr Poroshenko and his press-service had prior knowledge of the affair. Secondly, hostilities had been underway for several months by then, but the airspace over the area was not closed," Prozorov said. In particular he emphasized the invariable response to all of his attempts to find out the circumstances of the disaster, for instance, a conversation with General Staff officers. The usual reply was: "Don’t poke your nose into this business, if you don’t wish to have problems." "Some information has leaked out in the end, though. On the basis of my own analysis I can speculate who was an accomplice in the crime and who was involved in concealing evidence. In my opinion, there were two men involved - the current deputy chief of the Ukrainian presidential staff Valery Kondratyuk and chief of the Ukrainian Defense Ministry’s intelligence directorate, Vasily Burba." A passenger liner Boeing-777 of the Malaysia Airlines (Flight MH17 from Amsterdam to Kuala Lumpur) disappeared from the radar screens over the east of Ukraine’s Donetsk Region on July 17, 2014. Its crash killed all 298 passengers and crew on board - citizens of ten countries. Although hostilities had been underway on the ground for quite some time by then Kiev failed to close the Donbass airspace to international passenger flights. Australia, Belgium, Malaysia, the Netherlands and Ukraine created a Joint Investigation Team. On May 24 last year it published an interim report to claim that the missile launcher which had fired the missile that downed the plane might have been brought from Russia’s 53rd air defense missile brigade. Russia dismissed the JIT charges. The Defense Ministry said that not a single air defense system of the Russian armed forces had ever crossed the Russian-Ukrainian border.